Chickpeas are one of nature’s healthiest foods – packed with fibre and protein and virtually fat free. These Chickpea Crispbreads are therefore a wonderfully nutritious alternative to wheat-based crispbreads and are ideal for those following a gluten free or vegetarian diet. They are crumbly and yet crisp, skilfully seasoned and topped with tasty seeds for extra crunch. Try these Moroccan Spice Crispbreads topped with creamy hummus or broken up into bitesize pieces for a tasty, natural snack. Chickpea flour (30%), buttermilk, rice flour, salted butter, sunflower seeds, flaked almonds, flax seeds, spices, baking powder (Mono calcium phosphate, sodium bicarbonate, corn starch), water, sea salt, black sesame seeds. 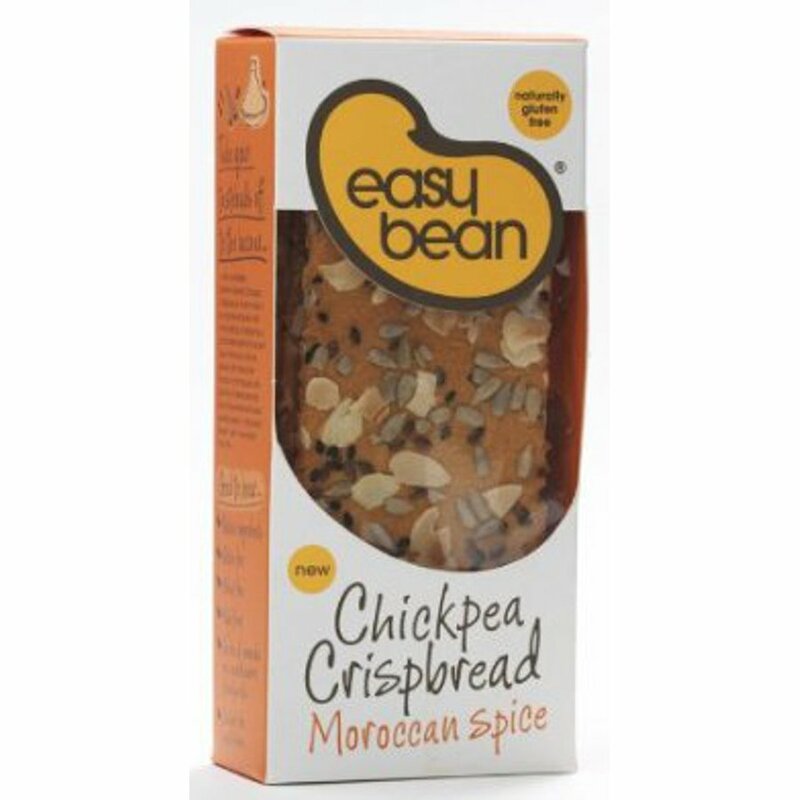 The Easy Bean Chickpea Crispbread - Moroccan Spice - 110g product ethics are indicated below. To learn more about these product ethics and to see related products, follow the links below. Nice but a bit dry. yes this is good and original, packs should be bigger ! 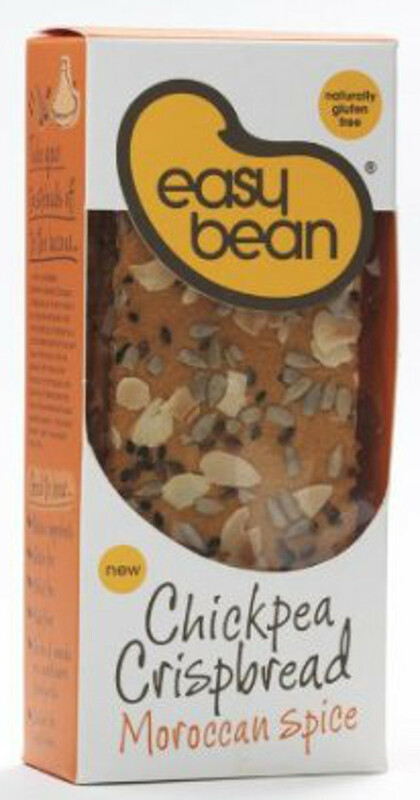 There are currently no questions to display about Easy Bean Chickpea Crispbread - Moroccan Spice - 110g.